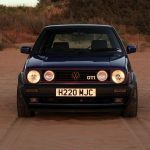 My passion for the Mk2 Golf started in 1997, I’d not long been driving and someone at college had a 1.3 with a full 90 spec GTi kit on it. It was the best car in the car park (in my opinion anyway!). 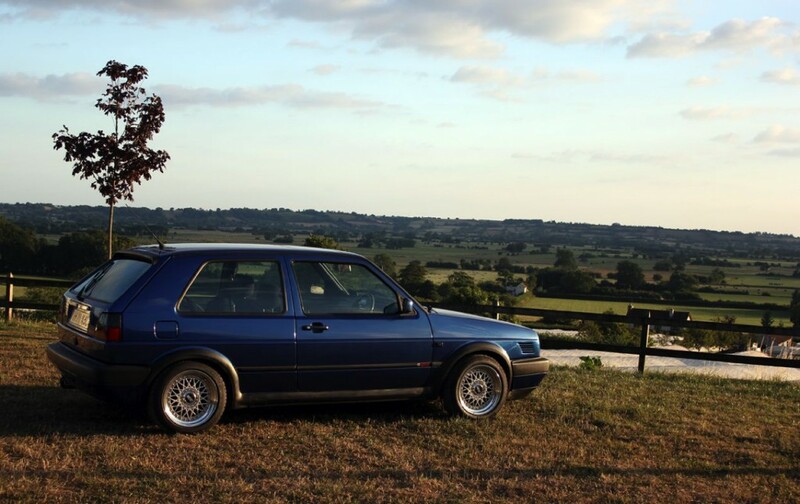 A year or so later, I purchased my first mk2, a 1990 1.6 Driver, fast forward to present day and I’ve owned a Passat, a Polo, a Mk3, a Caddy, 2 Corrados, 2 Boras and 9 Mk2 Golfs! Only 4 of which kept their original engine. 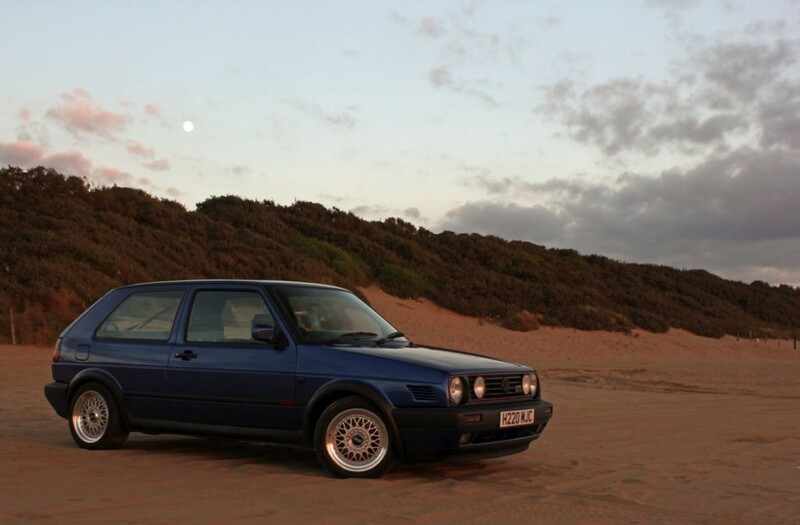 My latest mk2 story started just over 6 years ago, I owned a Bright Blue Metallic GTI with an 2.0 16v ABF engine. 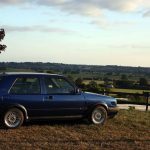 I’d given it a fair overhaul and ran it for a year, including a trip to the Nurburgring and several trips round Castle Combe. Unfortunately, a job change which required a drive over some of the worst moor roads you’d ever seen ment I reluctantly had to sell up before I ruined it. 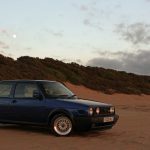 Four years, four more mk2s and a lot of pining for another Bright Blue golf, I was finally in the position to get another. 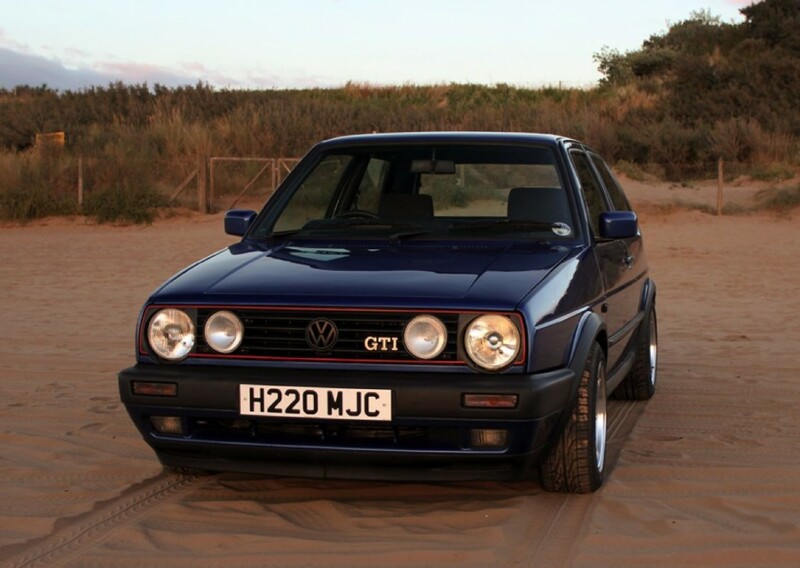 Unfortunately, by now, they (and mk2s in general) had started to climb in value. It was getting very difficult to find one that wasn’t scene taxed to death, rotten out or in some cases, both. 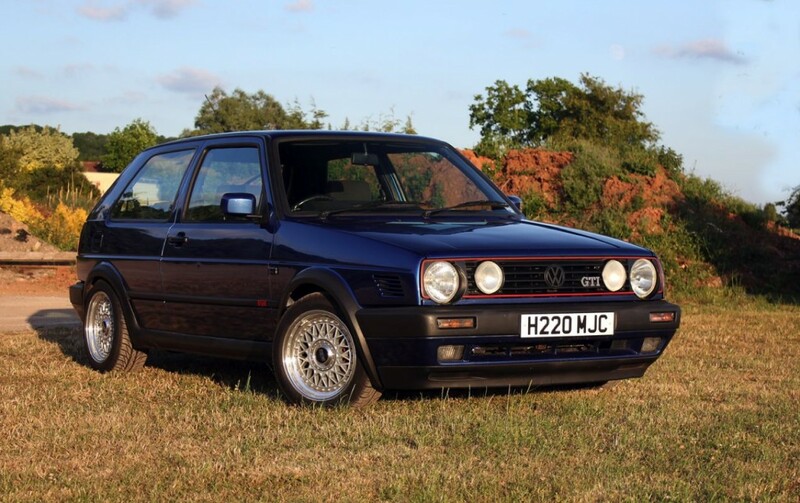 After about 7 months of searching, I finally managed to persuade Baz (BLCSO) to sell me his on the promise he gets first refusal when I come to sell her on (though don’t hold your breath on that one, Baz!). 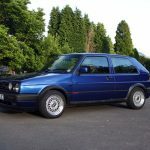 I’d spent months harassing him over the forum and in person, at a VW Action Day I walked up to his car, knocked on the boot and said “that sound means the engines going to fall out, you should sell it while you can”, little did I know, that would come back to haunt me… twice! …just over 2 weeks later, she let me down, couldn’t get her to start at all. A little fault finding lead to discovering the main earth loose on the gearbox which had taken out the ECU. Fortunately, I had one in stock and wasted no time in swapping it out. To my delight, it fired straight up off the key and started to idle! However, the delight was short lived as within 30 seconds a rattle started, 10 seconds later, the rattle turned worse and about a minute after firing, the engine completely died. Turns out the ECU had left the fired petrol down the bores, which had diluted the oil and taken out the bottom end. This pushed my plans forward somewhat. So over the next 3 months, while I saved up, I stripped her down, replaced any rust I found and generally prepared the chassis to receive the new engine. 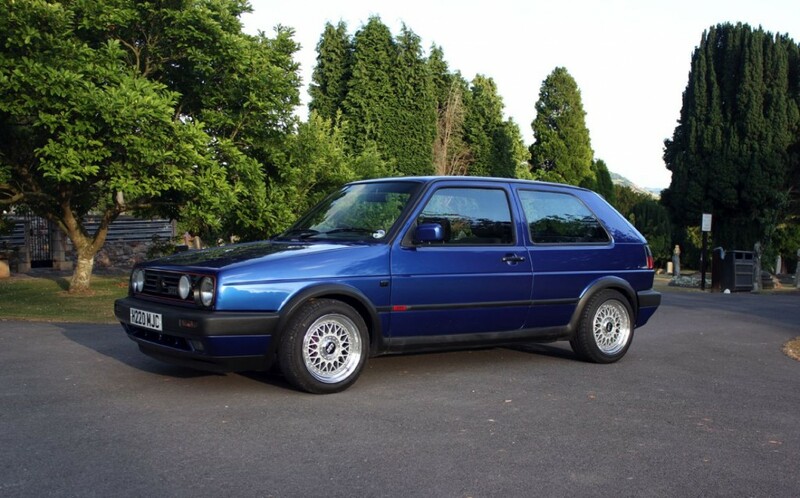 Due to a misspent youth, I had a fair bit of debt at one point and that winter, a lucky PPI claim cleared that debt and allowed me a budget to buy a donor car and a set of RMs. So the project was on, my direction was to keep the car OEM+. 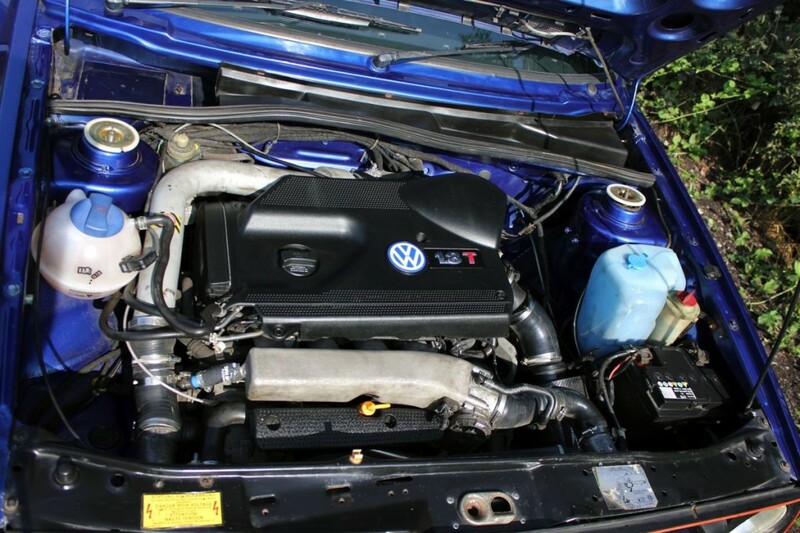 VW invested millions in the development of the engine and management, who was I to argue? 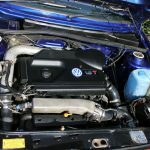 I wanted to use as many OEM parts as possible to generate a factory fit and for everything to work as VW intended. I bought a fully taxed and tested, low mileage Seat Leon Cupra, sporting an AUQ 20v engine. I’d owned this engine in a Bora for 5 years, after 2 Nurburgring trips and several Combe sessions, it was the one for me. After a little research on various forums, (with Rubjonnys name coming up more than once!) I managed to work out how to mate the two looms together to get the engine running, albeit with a stage 2 REVO map and a few other engine tweaks. Over the next 3 months, I went about replacing every nut, bolt, bush and bearing I could get my hands on. I think the total of the bolts alone came to about £120! To date, I think the only mechanical part I haven’t replaced is the sunroof mechanism (though I did refurb the arms and deflector!). It turned over on the 2nd attempt and a couple of weeks later, the finished car went straight through the MOT. 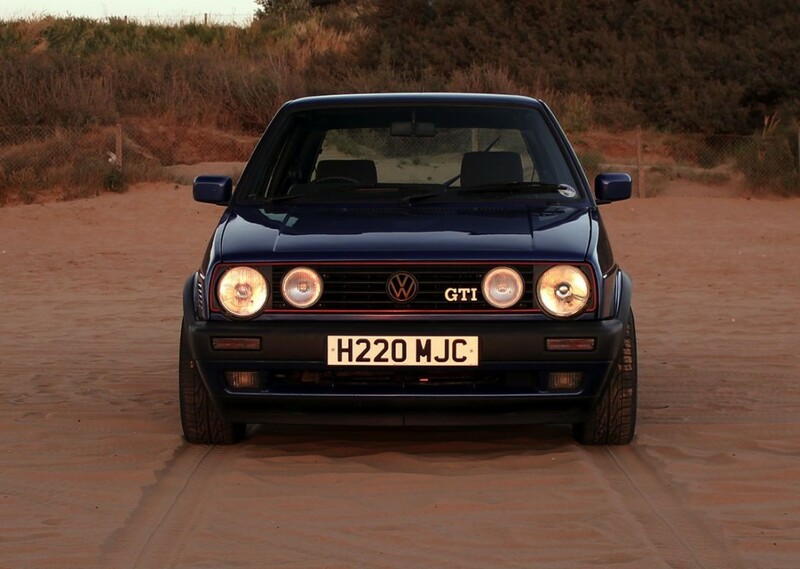 I’d created exactly what I was after, a mk2 golf that looked standard. Even when you got it, it just looked like an 8v GTi, right up until you stamped on the loud pedal. The first session went very well, not missing a beat, overtaking things with much more power and the oil stayed at 112. Then we went out for the second session, the first 8 or so laps went very well again, then on the start finish straight, at about 120mph, she went bang, big style! It turns out the con rod bolts are a weakness and if you’re unlucky, the can fail. It’s exactly what happened to me, locking the front wheels up and sending me backwards at around 100mph towards Quarry corner. I somehow managed the save of my life, brought the car facing the right way and pulled off on the grass. You’re told if you have an incident, to leave the car and get behind the barrier, which is exactly what we did. The marshals we with us in seconds, but upon our return, the white smoke from the exhaust had turned to black smoke coming from the interior, she was on fire! The oil that came out the fresh hole in the engine sprayed round the back of the block, caught fire on the manifold and lit up the UJ Boot for the steering rack. 8 fire extinguishers and the longest 3 minutes of my life, we managed to put her out. Fortunately, no paintwork was damaged, but the dash and everything behind it got fried. If you want to read further, you can read my build thread too.